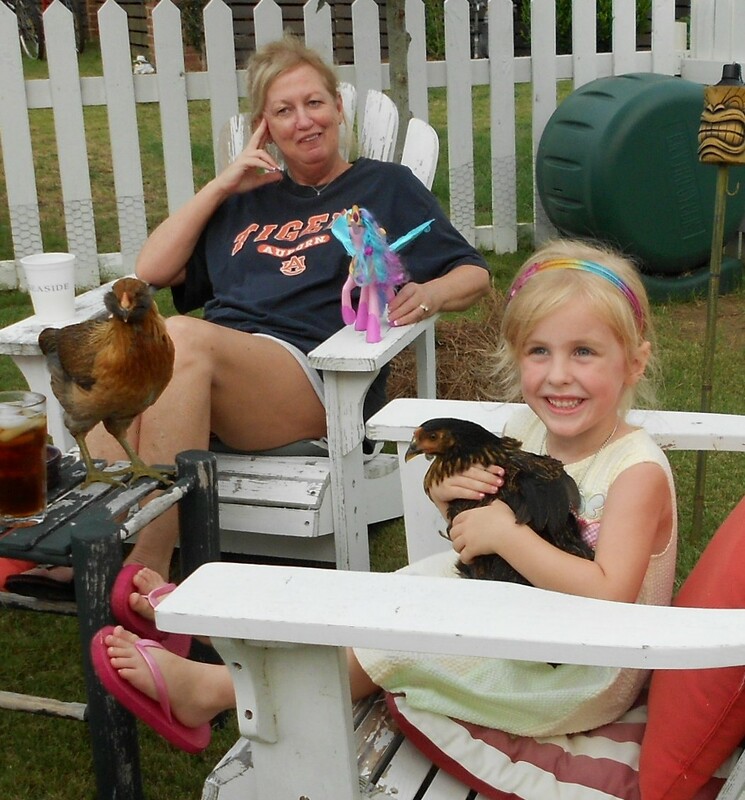 My good pal Susan recently brought her granddaughter to meet the chickens. This was not Layla’s first visit to the Burlingame Petting Zoo. Two years ago she was delighted to meet our brown lop-eared bunny Buster, and then last winter she made a couple of trips to play with the six kittens I fostered for the Humane Society. She still remembers their mom’s name (Sadie) and is happy they all found good homes (two of them found ours). 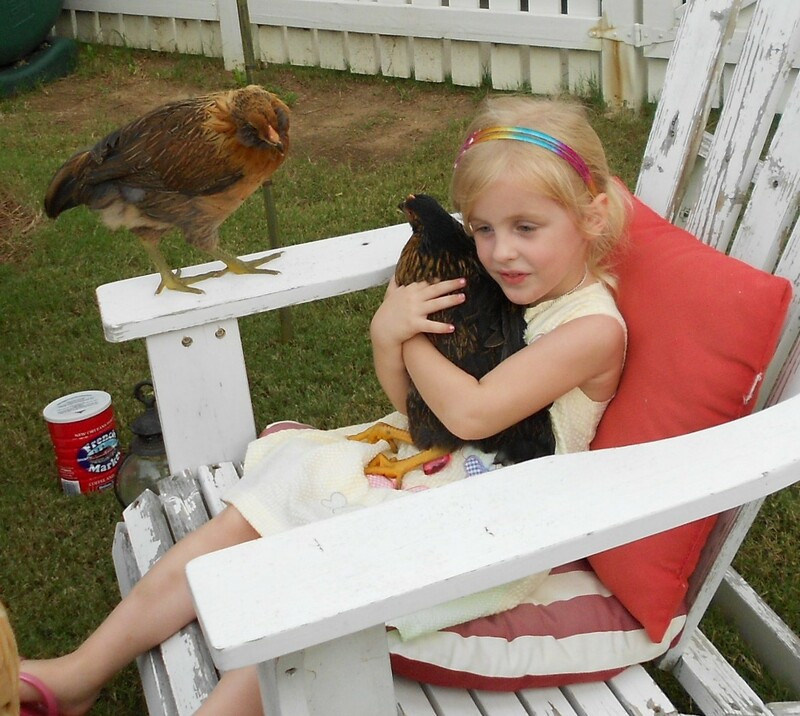 On the trip over to our house Layla was incredulous that Miss Debbie had CHICKENS! Her disbelief hardly dispelled even when she laid eyes on them. “I CAN’T BELIEVE YOU HAVE CHICKENS!” This kid is always full of unabashed astonishment and delight “I CAN’T BELIEVE YOU HAVE A CHICKEN HOUSE!” and it’s always a pleasure when she visits. I caught Violet for her and she sat down for a cuddle. Violet scratched her a little on dismount but Layla was a trooper and said it didn’t hurt at all. She spent the rest of her visit trotting behind my flock uttering a phrase very close to my heart, “I REALLY LOVE THESE CHICKENS!” One of my favorite things about these creatures is that they draw neighbors to my backyard. The kids are the most fun. I grew up with chickens but I enjoy seeing the looks on the faces of little sprouts who’ve only seen them in books or TV. 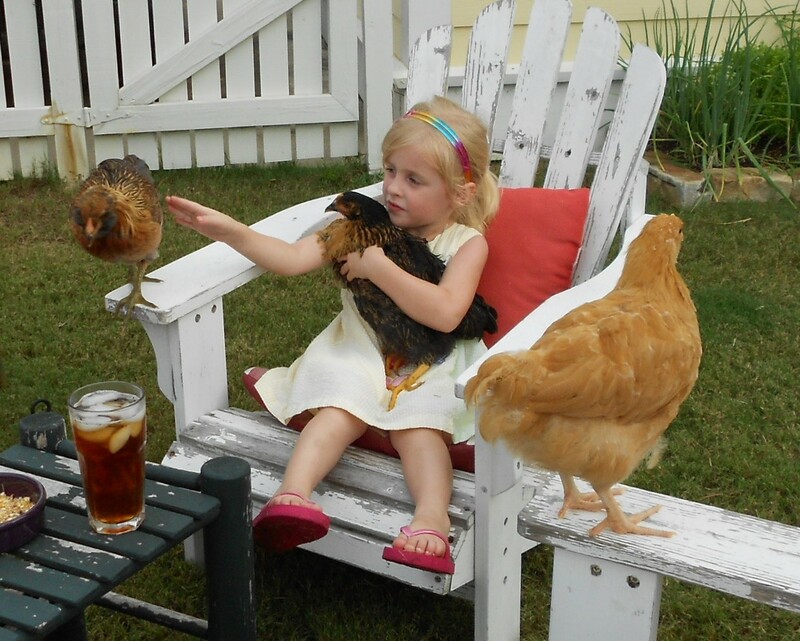 Perhaps I’m influencing a generation of future urban chicken farmers. There are worse legacies I could leave. PS–The unicorn in the pink tights is named Sarah. Layla thought you should know that. Happy times and great memories…. if I know Layla (and I do) she will be talking about her first visit with the ‘girls’ for a LONG time to come ! And that is one hot grandmamma! 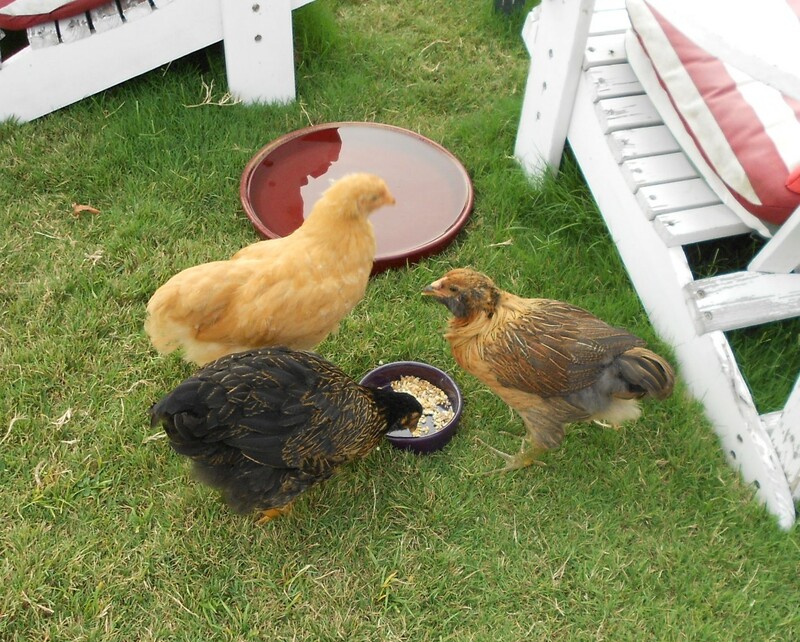 I recently became a “Chicken Mommy.” Join my journey as I learn about the fun, earth-friendly world of raising back yard chickens for fun and eggs. You’ll meet Rosie, Daisy and Violet and read about their daily adventures with a very inexperienced, but very happy new mom.